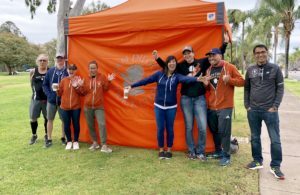 SDTC showed up in force for the 2018 San Diego Half Marathon. 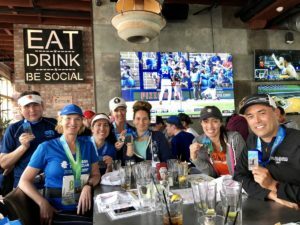 We had a booth at the expo, a cheer station at 6th & Laurel and a ton of our runners racing. 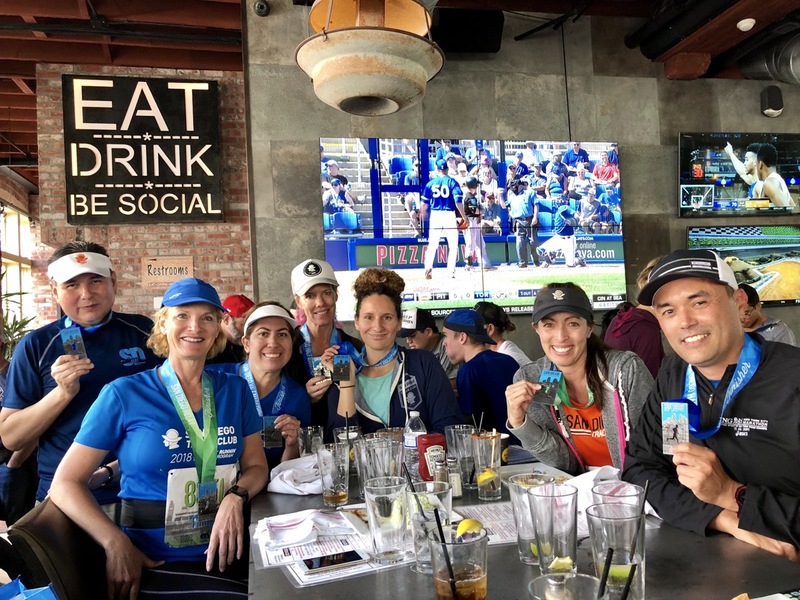 Then, of course, we celebrated with brunch post-race at Union Kitchen & Tap near the ballpark. Thank you to all of our expo and cheer station volunteers! And congrats runners!!! 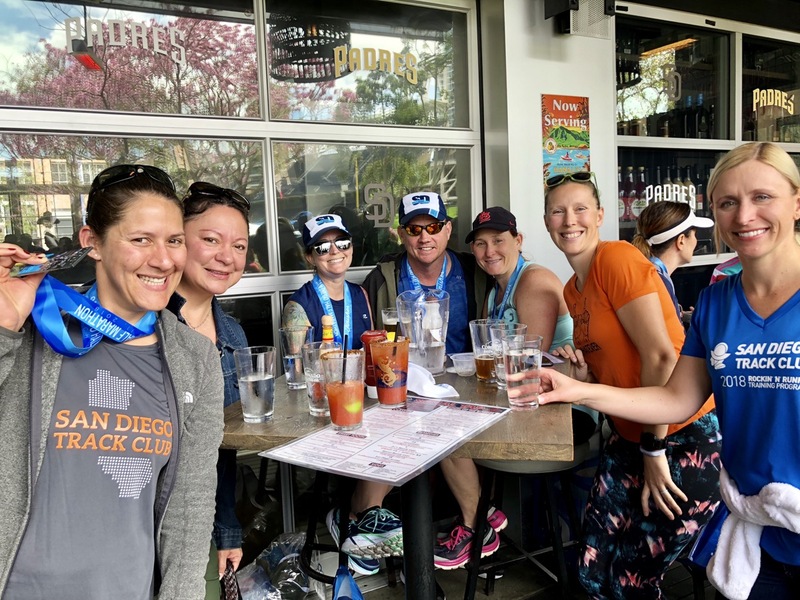 Words can’t express how excited I get in March when the San Diego Half Marathon comes around and this year was no different. This was my first year running with the San Diego Track Club and it was great getting all the support leading to and on race day. Great morning weather again this year, not too cold and no rain as expected which made for comfortable warm up run around the parking lot. 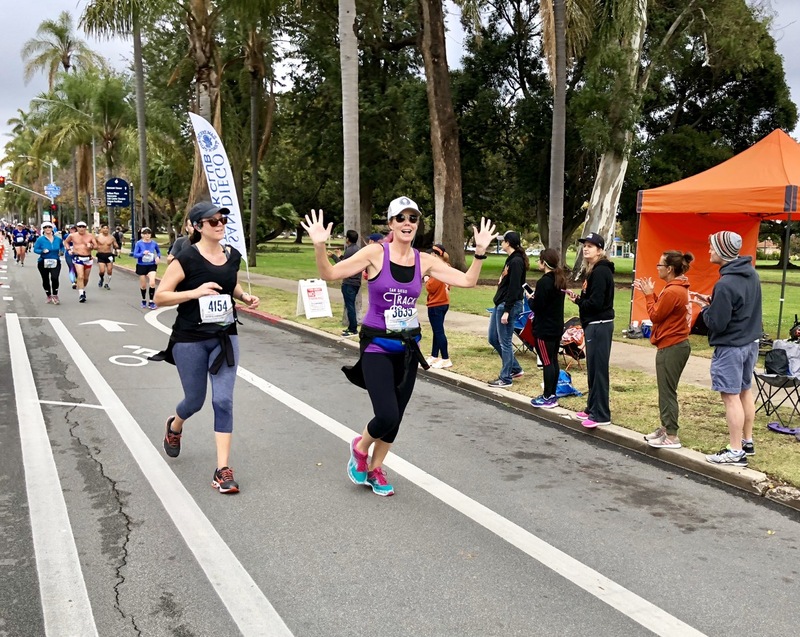 I spent a little too much time on my warm up and forgot to eat breakfast but I still had a little race anxiety so I was ok with skipping the meal (not smart). 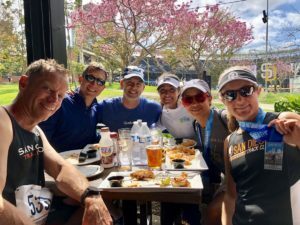 Before I headed to the start line I met up with the remainder of the Boston Marathon Training Group to get some final stretches in and a little extra encouragement. Mile 1 started out a little crowded but quickly cleared up about a half mile in. 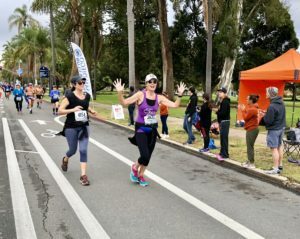 By miles 2 I had a pretty good feel of who I was going to spend most of the race with and one of them was my teammate Meriah Earle! I knew as long as I stick with her I’d have a great finish. Miles 3-5 I spent getting into a rhythm and falling into my comfortable race pace on the flat part of the course. Miles 6-8 going through Liberty Station were a little rough because the course got a little slippery from the rain the night before. It was great getting cheered on my the 2nd half relay guys waiting to start their run. The second half was not so great, it was definitely when the mental part of running came into play. 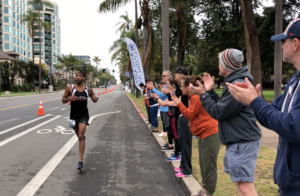 Miles 8.5-10 are the most difficult part of the SD half and that was when I started running out of fuel. This is why not eating anything before a race is no good even when you think you’ll be ok. I struggled climbing up the hills, especially Washington street and my pace slowed down but there was no quit in me. Once I got to the top of the hill I knew it was smooth sailing to the end. Miles 10-13 I got my pace back under 6 mins and was able to make it to Petco Park strong! 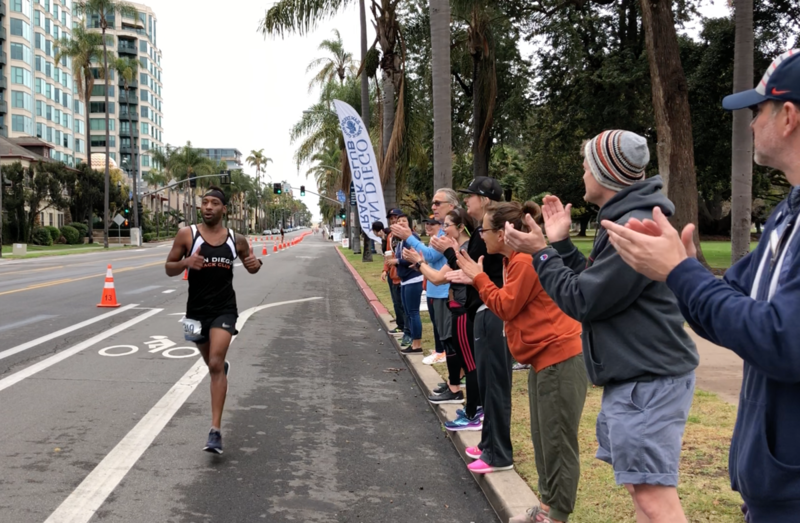 Another great race put on by the San Diego Half Marathon and it was even better being a part of the SDTC, the love I got at mile 11 was unbelievable! I learned a lot about myself at this race because as good as the results were it was FAR from perfect. Time to adjust and get ready for Boston Marathon! If your name should be on this list and isn’t, please email us so that we may add you!